Editor’s note: Cyril Ebersweiler is the founder of the hardware startup accelerator HAXLR8R and partner at SOSVentures. Benjamin Joffe is an expert on startup ecosystems, angel investor and advisor at HAXLR8R. Both spent over a decade in China and Japan and invest in startups around the world. This is the second part of a series. In the first part we looked into how to get a prototype into production. 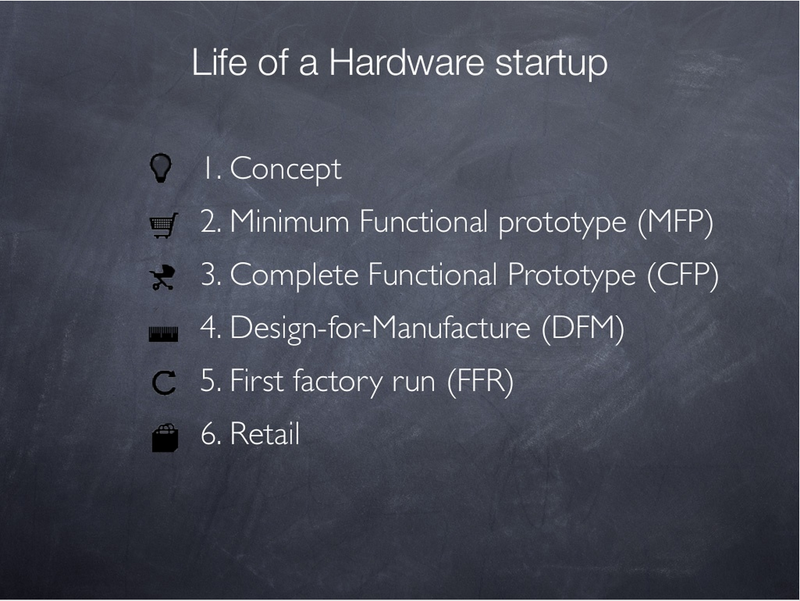 We can differentiate several steps in the life of a hardware startup: concept, minimum functional prototype (MFP), complete functional prototype (CFP), design for manufacture (DFM), first factory run (FFR) and retail. Note that the Complete Functional Prototype is different from just a mockup: it actually does the full job the final product is supposed to do, rather than showcasing the essential functionality/purpose of the proposed product. Capital needs vary according to the stage you’re in and might come from different sources. In hardware, venture capital is essentially about growth. At this stage, you are exploring the idea feasibility and market demand. The usual lean startup methodology applies: customer development interviews, surveys, and all kinds of research. It is all too easy to believe that your solution is “needed” when there was never really a problem to be solved in the first place. The concept phase generally requires no external funding. At this stage, venture funding is almost impossible without a track record (like Jack Dorsey at Square). 3D-printed mockups are unlikely to suffice: most investors won’t believe you have what it takes to do hardware until you show them something they can touch and that does the job. Your best bet might be your own pocket, pitch contests and grants. Some countries like Singapore are very generous with grants – just make sure filling out the paperwork does not take you more time than developing the product! A cousin of the Minimum Viable Product (MVP), this device made from off-the-shelf components and 3D-printed or handmade custom parts does the job in a half-broken way. Little attention might yet be paid to design and ergonomics. The benefit is that it shows you might be able to solve the problem. The downside is that it might look bad, break often, confuse people, and give the impression you don’t care about details or can’t build something stable. At this stage, your bill-of-material (BOM) for one unit could range from a few tens of dollars to thousands, depending on your product. Most likely you will need to fund this one from your own pocket, too. This is the moment when you might start looking into some form of financing. Despite your warnings, most people will look at your prototype as if it is a finished product so you might consider holding off before trying to raise funding. Now you have a prototype that looks attractive enough and you think might be close to what will come out of the factory. Looks and ergonomics have a surprisingly powerful effect (“pretty pixels” do wonders) and reassure people about your capabilities of making mass-market consumer products. At a recent IOT Meetup in San Francisco, Rob Coneybeer, Managing Director at Shasta Ventures, pointed out a key difference between hardware and software: When you ship a hardware product, it has to be perfect. And if you can’t make one product perfect, how could you be trusted to make a hundred? If your product looks nice, people will be more forgiving if it breaks during trials, but, still, don’t rely on looks alone. 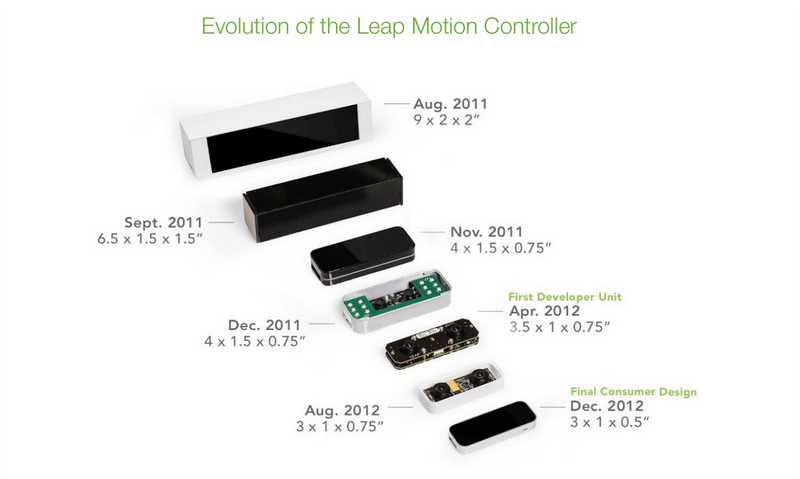 Remember that there is a lot of work to be done before it is actually possible to mass-produce (see Lean Hardware Part 1 here). Most important is that within 3 months you will know whether your product has a future. Hardware cycles are longer than software and you can’t pivot endlessly. Don’t waste the next two years of your life prototyping. Though it might require some expertise that you don’t have (product design, materials, etc. ), reaching this stage might not cost much. Things are now looking real, and it is a good time to raise some funding. The minimal target should be to get ready for manufacturing (including securing a supplier). There are various sources of financing at this stage: friends and family, angel investors, accelerators, crowdfunding, grants. You need cash, but you also need to learn lots and fast if you are not familiar with manufacturing, distribution, branding, etc. Unless you get a very hands-on angel who is seasoned with manufacturing, few structures provide both capital and support in that direction. Among them are hardware accelerators and corporate incubators. Even Foxconn is said to be setting up its own. Crowdfunding requires a serious warning: we advise you not to crowdfund before you have sorted out the design-for-manufacture part. You might validate a market but you expose yourself to delays and competition due to the time gap between the campaign and delivery (see also Spark’s founder Zach Supalla’s take on delays here). 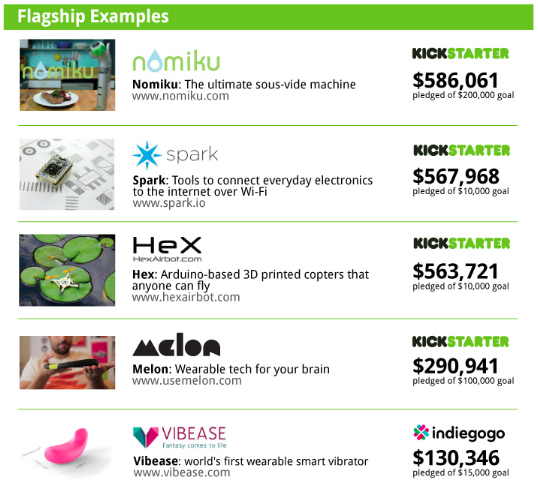 According to CNNMoney, 84 percent of Kickstarter’s top 50 projects shipped late (click here for an interactive table of the projects). The 5 rules of Lean Hardware that the late projects break. This is one the key steps to overcome to grow from hardware hacker, tinkerer or inventor to become a hardware entrepreneur. 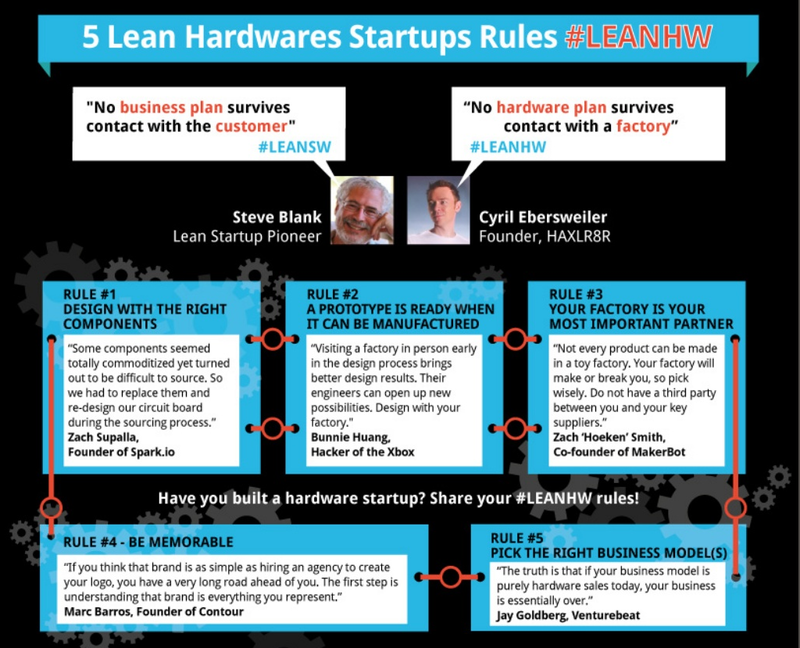 We’ll repeat Cyril Ebersweiler’s first Law of Lean Hardware: “No hardware plan survives contact with a factory”. The learning curve might be steep but seeing people touching and using something you built is a feeling that can’t be beat. You could subcontract some of it but adding extra people between your vision and your factory will also frustrate you and slow down this necessary learning. How much do you need to complete this stage? Most of the 30 startups that went through HAXLR8R got there for less than $50,000. This will be spent on components, 3d printing, design, certifications, legal costs and a few trips to select a factory and understand tooling, molds and more before you commit to production. What if you don’t? Reality will kick in and you might join the numerous hardware projects that get delayed. Once you complete this stage, and assuming you have done your market research in step 1, you are in great shape to crowdfund: your product is pretty much reach and you know your costs and margins. The first factory run turns your DFM prototype into many identical products. What you need here is the money to pay for tooling and first run. Maybe you got it from crowdfunding, angel investors, an accelerator or venture capitalists. We won’t go into details on how running a successful crowdfunding campaign is much more than setting up a Kickstarter or Indiegogo page – crowdfunding can help you get enough cash to pay for the tooling and first run, making both you and your supplier happy. It is also demonstrating demand. The startups at HAXLR8R who went the crowdfunding route all got funded successfully, with an average backing of $300,000 — way enough for a first run. At that stage you can still sell direct to enthusiasts. You made your calculations including your profit, shipping and returns and anticipated the cost of retail. Crowdfunders and regular customers have very different expectations. Only offering “pre-order” on your website rather than selling will lose you lots of sales (typically 1/20th). This damages your hard-earner momentum and translates into a shorter runway. This is a “valley of death” and another strong argument in favor of having production ready to go when you launch you campaign. This situation can extend even as you close retail deals: you are stretched between delivery, lack of sales momentum and possibly working on the v2 of your product. Yet, this stage is also a golden age for margins: as companies like Apple and GoPro know very well, selling direct allows for much higher margins than if you go through wholesalers. So if things went well, you funded your first batch successfully with pre-orders. You received good media coverage and approached retailers, or they approached you. How will you work with them? This phase is quite far down the road for most hardware startups. To give it the space it deserves, we will cover it in a future post. When is a good time to get investors on board? As mentioned above, it depends on your capital requirements, but it is also useful to understand an investor’s point of view. First, there is likely only one venture-backed winner in a hardware category. While it does not mean the one who raises the most money wins, investors are wary of this situation. Second, many products can be legitimate multi-million-dollar businesses. Unfortunately “multi-million” is often not enough of a motivator for venture capitalists. If it is your situation, go ahead and build a business, just not venture-backed – VC money is the most expensive money there is anyway. Third, VCs are still learning about hardware and trying to figure out when is best to invest. As we mentioned in the intro, VCs in general are about growth. Demonstrating strong demand is thus paramount in getting their interest. Again, Rob Coneybeer from Shasta Ventures, said that a minimum to get VC attention with a crowdfunding campaign is likely over $1-$2 million dollars. Not everyone is the Oculus Rift.